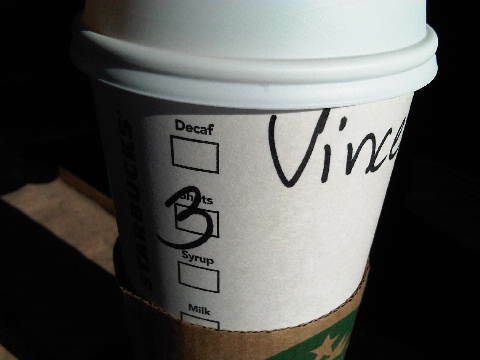 NOTE: This blog post was originally posted on my “Triple Venti Dolce Data” blog for Target Marketing Magazine. Way back in the Internet dark ages of January 1996, Bill Gates wrote about and coined the phrase “Content Is King .” He was talking of course, about Web content and the need for people and organizations hoping to monetize the Internet to consistently produce fresh and relevant topics in order to gain the interest and loyalty of viewers, just as television had been doing, radio before that and print media the longest of all. His assertion that “over time, someone will figure out how to get revenue” from Internet advertising is frighteningly similar to today’s gurus predicting much the same in regard to social media marketing. Just as back then—when companies and marketers struggled with deciding whether a Web presence was needed—today there are still major corporations only testing the social media waters, even if only half-heartedly, to keep pace with competitors. I read those two lines and what immediately strikes me is the overwhelming amount of data being generated during these last 17 years and how it is being captured, nurtured and put to work in areas such as Lead Generation, Brand, Affinity, Cross-Channel and Retention marketing. If at all. IBM has an infographic regarding the flood of Big Data they use in demonstrating how their Netezza device handles integration for several major marketing organizations. This shows how, with connectivity, speed and bandwidth issues having become nearly eradicated during just the last two to three years, the amount of collectible, actionable data has exploded. Unfortunately, the amount of irrelevant and useless data being collected is even greater than the actionable data, and being able to simply store that much data, let alone begin to organize and digest it all, is a major concern for most organizations. Before even thinking about the incorporation of Big Data initiatives, there should be an organizational review of quality for the existing information held in the collective datamarts that feed the central repository used for decision-making. Long before Big Data, the issue of Bad Data must be addressed. Whether you are a B-to-B or B-to-C marketing entity, the creep of inaccurate data is constant across every customer and prospect contact you currently maintain. Experian-QAS has a stark reality “Cost of Bad Data ” infographic showing the millions of dollars lost each year as a direct result of inaccurate and incomplete contact information. Complacency and budgetary shortcuts speed the process even more. Whether it is via an in-house effort or using third-party tools and vendors to perform ongoing hygiene, the vitality of your contact strategy is not sustainable without regular maintenance. Having the foresight to develop phased approaches for data incorporation based on both short- and long-term ROI is the most realistic approach. Using results from the interim stages provides the ability to thoroughly test and analyze and measure value, keeping the project moving forward steadily while minimizing roadblocks to the longer-term goals. C-Suite leadership establish the long-term goals for organizational success and with other Senior Management develop the phases to follow based on data, budget and resource availability to be assigned through each phase. Set the expectations and build the benefits case of the project across the entire company, communicating these goals in order to coordinate the gathering and availability of resources needed from whatever silo in which they reside. Design the KPIs that will be required in determining accuracy of marketing integration of the insights being introduced during each phase. Test and Measure every step of each phase for completeness and success before moving on to the next. Build simple and multivariate test panels into marketing campaign segmentation to analyze what new data elements truly provide sustainable lift in response. This entry was posted in Marketing Data and tagged Marketing Data. Bookmark the permalink. It’s TAX Season. Are your Real Estate records filed and organized?